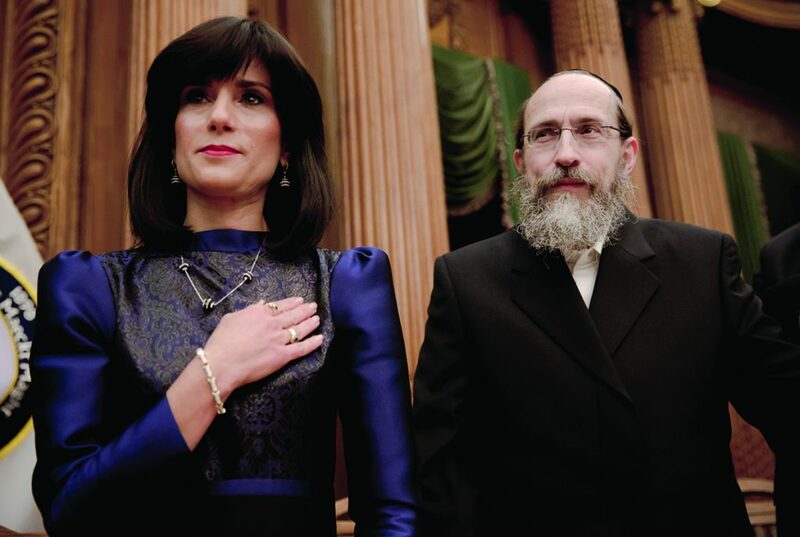 Set in the Hasidic enclave of Borough Park, Brooklyn, this inspiring documentary follows Rachel “Ruchie” Freier, a no-nonsense Hasidic lawyer and mother of six, who is determined to shake up the “boys club” in her community – risking her reputation and future in the process – by creating the first all-female ambulance corps in New York City. With unprecedented and insider access to this insular community, 93 Queen offers a unique portrayal of a group of tenacious Hasidic women, led by Ruchie, who are challenging the patriarchal status quo in their community to create change from within. In the midst of this already ground-breaking endeavor, Ruchie announces that she has decided to take her burgeoning feminism even further: She has entered the race for civil court judge in Brooklyn’s 5th Municipal Court District. Through it all, we see these empowered women persevering in the face of fierce opposition, while grappling to balance their faith with their nascent feminism as they are confronted by the patriarchal attitudes that so dominate Hasidic society.